High school sophomore Xiomara Barista hovers on the cusp of adulthood, struggling to identify her place in her family and neighborhood. She details her neighborhood, her growing interest in a boy, her twin brother's distancing himself though perfectly chosen words that offer a glimpse into her emotional journey. 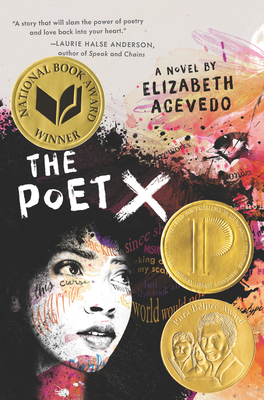 Acevedo has created a gorgeous coming of age novel in verse that should be read by teens and adults alike.